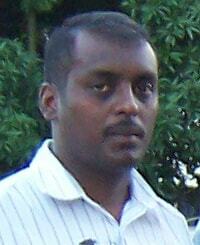 The Fijian Hindi people originated from the Fiji islands. The Fiji islands consist of more than 300 volcanic islands in the South Pacific about 1100 miles north of New Zealand. Only about one third of the islands are inhabited and the majority of the population is indigenous Fijian (mixed Melanesian-Polynesian descent). South Asian Indians have a long history in Fiji having first come to the islands as indentured servants in the British colonial rule of the late 19th and early 20th centuries. Most came on five-year contracts to work on cotton and sugar cane plantations. In spite of harsh working conditions and ethnic discrimination, many chose to stay in Fiji and have grown and prospered. After the indentured labor system was finally abandoned for humanitarian reasons, South Asian Indians continued to migrate to Fiji seeking their fortunes in many arenas outside the agricultural sector. Due to ethnic discrimination, they have migrated to North America. Although being ethnic South Asian, they no longer speak their India mother tongue and now speak Hindistani. They also adhere Hindus. Both language and religion along with geographically residing in Fiji for many generations mark their unique people group identity from other people groups from India. Pray God will work through and in the lives of the Fijian Hindi to understand and realize the need for a one and only Messiah, as revealed through Jesus Christ. Pray evangelical Christians will intentionally become friends with Fijian Hindi and reveal via word and deed that Jesus Christ is sacrifical atonement and the answer for all peoples.